Chef, Owner/Operator, RauDZ Creative Concepts Ltd. Chef Rod Butters is proud to call the Okanagan home. Rod is a strong proponent of “everything local” and supports many of the local farmers and food artisans that thrive in the valley. The importance of Rod’s commitment to establishing regional BC cuisine has earned him international respect. Long before it became “trendy” to serve regional food, Rod has always been committed to this effort. It’s because of this and his talents as a chef “at the top of his game” that in 2007 his peers inducted Rod into the B.C. Restaurant Hall of Fame. Chef Butters was recently inducted into the CCFCC Honour Society recognizing his contribution to his industry. 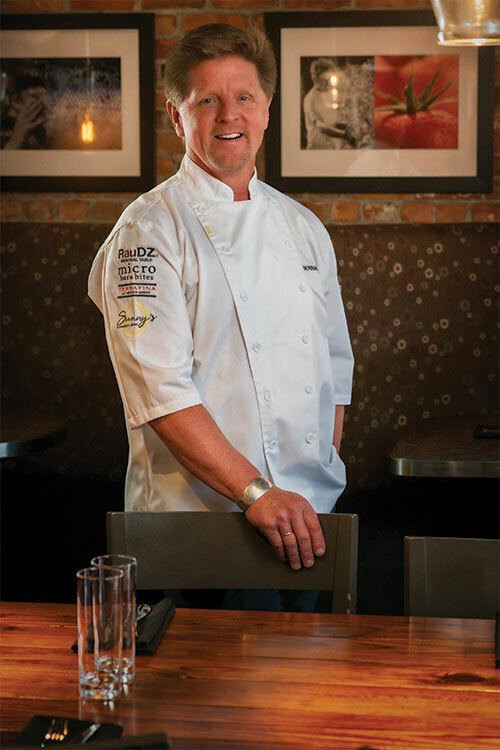 Since moving to Kelowna from the west coast, Rod has established a Four-Diamond restaurant (Fresco), gutted it and transformed it into one of the city’s prime hot dining spots – RauDZ©. Known for it’s casual atmosphere, RauDZ© has become a food destination with a loyal following. The growing RauDZ Creative Concepts Ltd. portfolio now includes RauDZ Regional Table, micro bar & bites, Sunny’s Modern Diner and Terrafina at Hester Creek by RauDZ. Summer 2017 saw the launch of a long awaited project from Chef Butters – his cookbook The Okanagan Table: The Art of Everyday Home Cooking. Boasting over 270 pages including 80 recipes and more than 120 photos, the book includes some favourites from Butters including Oat Crusted Arctic Char, a classic on the menu at RauDZ Regional Table, the addictive Spring Pea Soup that celebrates that season in the valley and even a few cocktails to be enjoyed with appetizers and friends. Signed copies are available at all four of the RauDZ Creative Concepts restaurants plus bookshops and wine shops in the valley as well as online at Chapters/Indigo and Amazon. Co-owner/Operator RauDZ Creative Concepts Ltd.
Audrey is passionate about the local wine industry and can be found conversing with winemakers throughout the region, constantly on the lookout for the “next great wine.” With a strong palate and nose, Audrey has the ability to source some of the Okanagan’s best wines and price it so that it can be enjoyed by anyone who cares about a great product. Audrey is certified by WSET, an Internationally recognized wine and spirits certification authority. This certification is designed to give a thorough and comprehensive knowledge of the principal wines and spirits of the world combined with commercial factors and a system for the professional evaluation of wines and spirits. She graduated “With Distinction”, and this has resulted in requests for her participation as a Wine Judge in a number of wine competitions. She has the ability to set a welcoming tone at the restaurant and her commitment to setting a high standard of service is legendary. Audrey is excited to explore the flavours of an international wine portfolio for micro bar • bites making it distinctively different from the exclusively local beverage menu at RauDZ Regional Table. Executive Director of Operations, RauDZ Creative Concepts Ltd.
Bernard Casavant joined the RauDZ Creative Concepts Ltd team in spring 2018 as Executive Director of Operations. 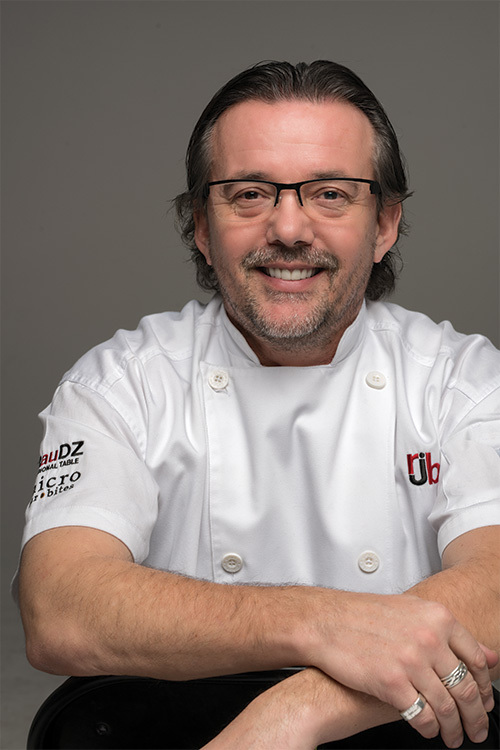 A long time friend and colleague of both Butters and Surrao, Chef Casavant oversees the operation of all of the RauDZ Creative Concepts restaurants while curating an impressive team of professionals through recruitment, coaching, mentoring and development. Casavant has been at the forefront of improving the standards of the hospitality industry throughout his career. He was one of the first chefs in Canada to earn the Chef de Cuisine Certification (CCC) and became the first West Coast-born and trained chef to represent Canada in the prestigious Bocuse d’Or Competition, France. Alongside Rod Butters, they are members of the BC Restaurant Hall of Fame and CCFCC Honour Society. Starting in 1989, Casavant helped make Whistler a culinary destination, first as the executive chef for the newly built Chateau Whistler and later his own restaurant Chef Bernard’s Bistro. 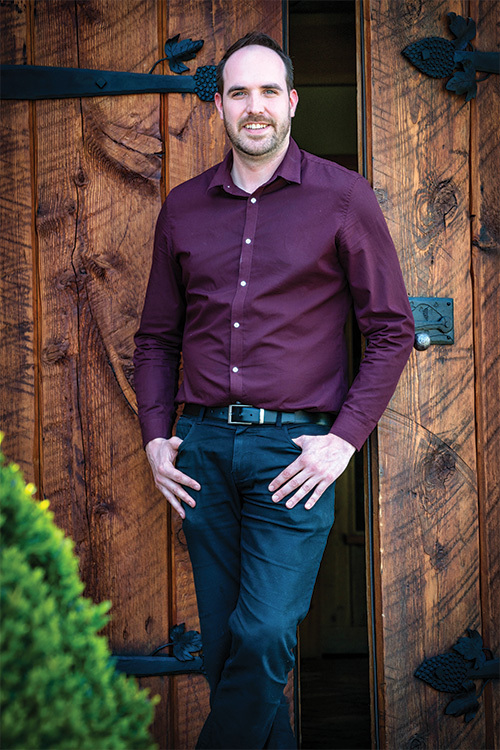 In 2006, he relocated to the Okanagan and becoming Executive Chef at the Sonora Room at Burrowing Owl Winery, later moving to Wild Apple Restaurant and Lounge in Kelowna. He joined Okanagan College in 2014 as Culinary Manager of the Wine, Food and Tourism program. Kaidi is the friendly face you’ll see behind the bar, and around the room ensuring the guests at micro enjoy every bite. 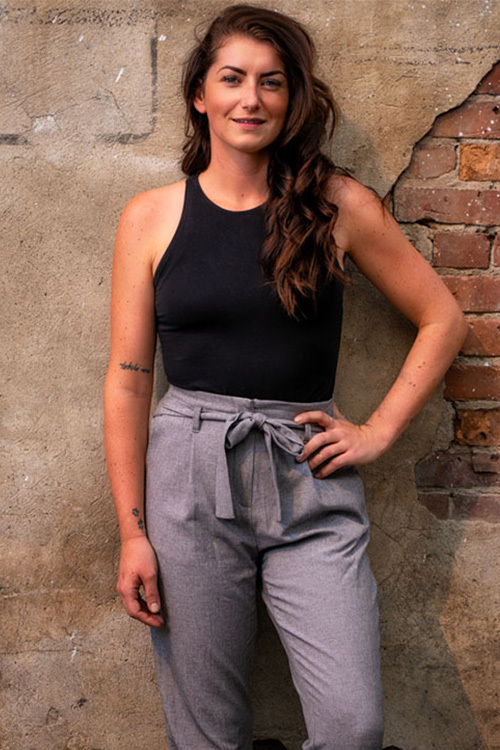 Born and raised in Kelowna, Kaidi joined RauDZ Creative Concepts Ltd in January 2015 and became the restaurant manager at micro in November 2017. Her love of both local and international wine is on display with the ever-changing chalkboard wine menu and is backed by her WSET 2 (Wine & Spirit Education Trust) education with plans to pursue her WSET 3. 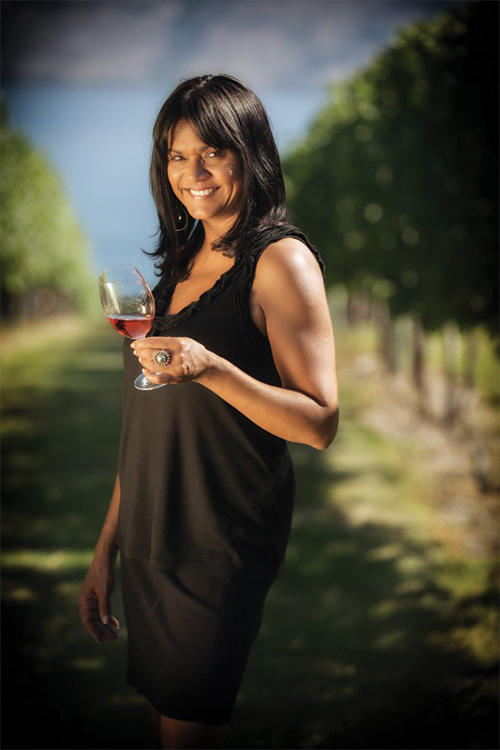 Kaidi’s love of wine is surpassed only by her passion for travel and craft beer. She enjoys searching out unique, hard-to-find brews and bringing them back to micro for her guests. Next up in Kaidi’s ‘thirst’ for knowledge is craft beer’s own version of a sommelier program, completion of the Cicerone Certification. 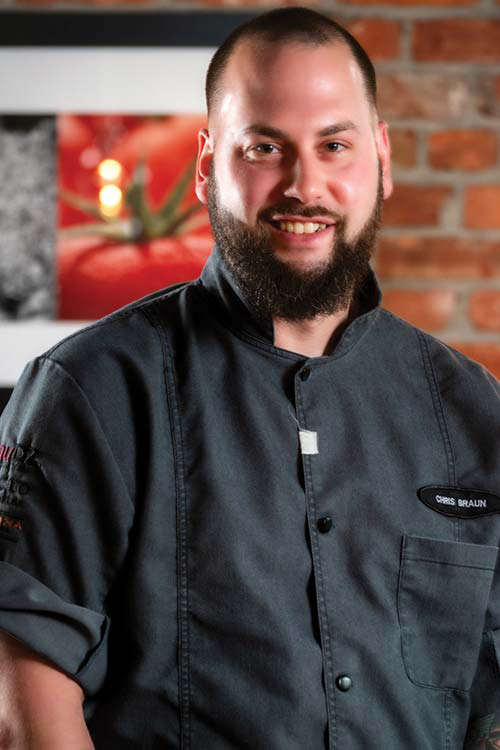 Chris Braun, formerly Chef de Cuisine at RauDZ Creative Concepts’ micro bar & bites was appointed Chef de Cuisine at RauDZ Regional Table in August 2018. In addition to his new role at RauDZ Regional Table, Braun also oversees the bi-monthly rotating menu at micro bar & bites. Braun began his cooking career at RauDZ Regional Table, later acting as opening chef for another restaurant in Kelowna, then taking time for an Advanced Salumi course in Italy and eventually finding his way back to the RCC family taking the helm at micro bar & bites. In addition to his new role at RauDZ Regional Table, he is also a member of Culinary Team BC. Culinary Team BC is a group of talented BC-based chefs who represent the province as its culinary ambassadors at competitions around the world. Braun, a father of two, is active in the community volunteering his time with the Chefs in the Classroom – edible education program sharing his passion for food with Grade 3 students in the community. Beverage Operations, RauDZ Creative Concepts Ltd.
Wes joined the team of RauDZ Creative Concepts in late Spring 2016 and recently assumed the role of Beverage Operations for the four restaurants. His career started in the restaurant industry in 2006 and along the way he has managed several notable restaurants. Over the years he has continued to hone his management skills and wine knowledge developing award winning wine and beverage programs and helping to put his restaurants on the culinary map. He graduated with a Wine & Spirits Education Trust Diploma (Level 4) from Dubrulle Culinary Art Institute of Vancouver in 2009.